Lock in a great price for Paradise Luxury Cruise – rated 9 by recent guests! 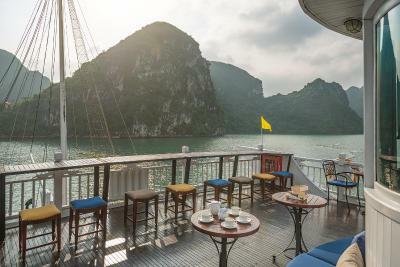 Great experience in Halong bay for the overnight cruise. nice ship and a very frendly and helpful staff. Also some nice activities to do during the day (hiking, swimming, kayaking, visit some nice caves,etc). fast check in and check out process. Well organized. However all the mentioned negative aspects, one must say that the cabin was really confortable. Our suite, (the one with balcony) was really nice and made for a confortable stay. 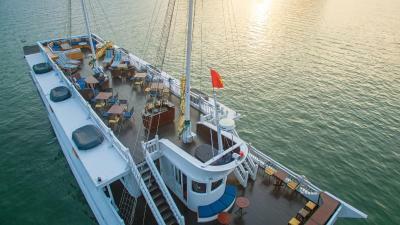 Staff was really nice and cruise manager was really a cheerful person who worries about your well-being. The service on board and the check-in were great. The cabin was huge and confortable. The staff knew it was our honeymoon and gave us special treats to celebrate the occasion. Great service and facilities. Staff very professional and friendly. Water was always offered in any outdoor activities. The Paradise Luxury was definitely among the most beautiful vassels. 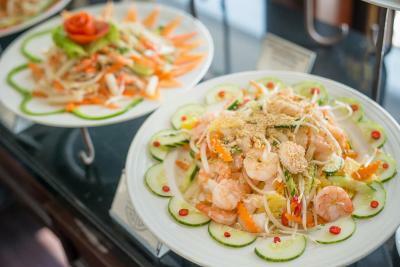 The food is the highlight of staying aboard, in a very charm and cozy environment. 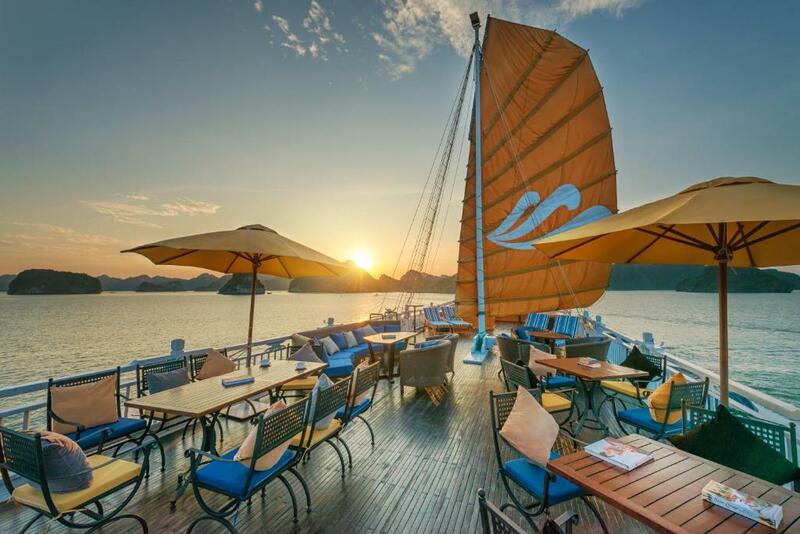 This is definitely your best option for an overnight Halong Bay cruise. 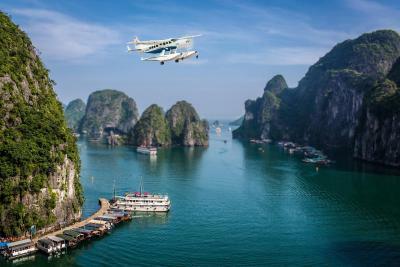 Service was great from transfer services from Hanoi until our check-out from the cruise. Everything was organized and on-time. Good food and drinks. All cruise staff were very attentive to your needs. 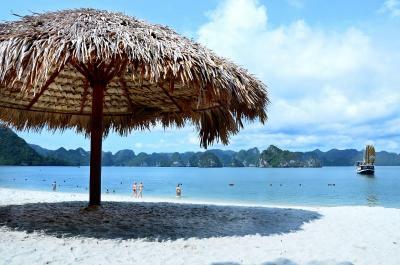 Had a great time cruising around Halong Bay. The accommodation/room with balcony was spacious & very comfortable.The crew was friendly,helpful & hospitable.I would like to mention specifically the husband-wife team Boyet& Jenny who goes out of their way to make all of us feel welcome&happy,no matter what nationality we are.They introduced us to the other members of the crew who were more than willing to make our stay enjoyable. Paradise Luxury Cruise This rating is a reflection of how the property compares to the industry standard when it comes to price, facilities and services available. It's based on a self-evaluation by the property. Use this rating to help choose your stay! Inspired by the traditional Vietnamese junk boat, Paradise Luxury Cruise features a dining area and spacious sun deck with sun beds and lounge beds offering views of Halong Bay. Free WiFi is available in the public areas. 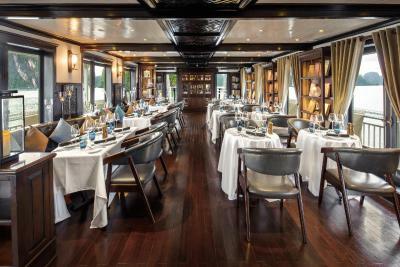 Each air-conditioned cabin in Paradise Luxury Cruise features classic wooden interiors accompanied by sweeping sea views. 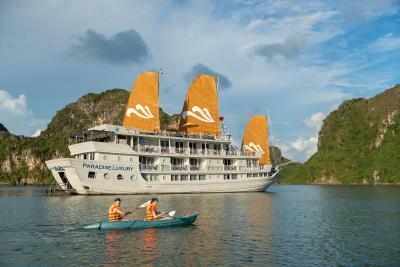 Guests can enjoy activities such as kayaking and squid fishing from the cruise. The onboard Le Parfum Spa offers relaxing massages and treatments feature Sothys Paris products and therapies. Tai Chi lessons and movie nights are other activities that are offered. 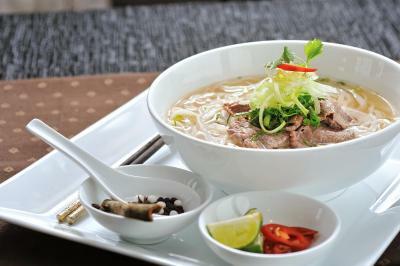 A traditional menu featuring Vietnamese cuisine or international dishes from the a la carte menu can be enjoyed onboard. 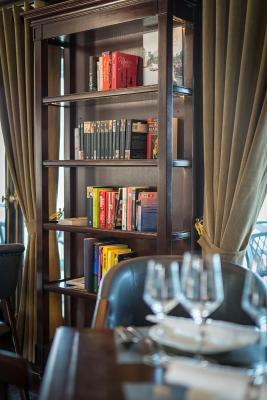 A wine selection is featured in the cruise’s bar. 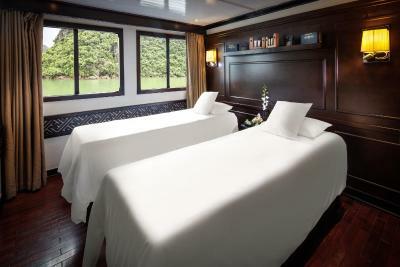 The cruise also offers a private lounge, banquets, butler services and daily maintenance. 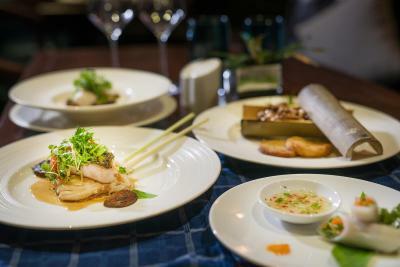 Guests can also enjoy dressing up in a Bao Dai-style for the six-course Paradise Royal Dinner. When would you like to stay at Paradise Luxury Cruise? 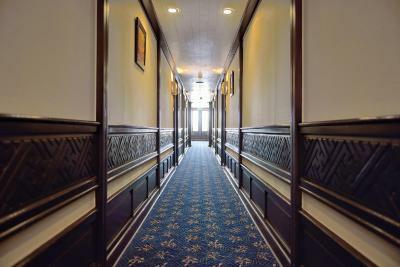 Room has air conditioning, a personal safe and private bathroom with shower facility. Room has a private balcony, air conditioning and an private bathroom with shower facility. Room opens out into a private terrace with sun beds. Private bathroom comes with shower, a hairdryer and free toiletries. 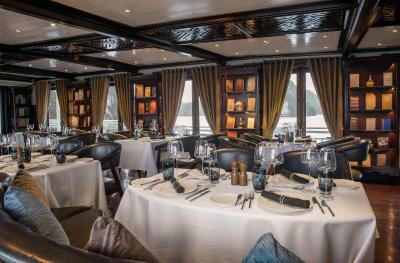 The Paradise Luxury Classic is the only ship in Halong Bay to offer royal banquets- don the robes of a dignitary and feast on a menu of delectable Vietnamese cuisine fit for a king. Our sundecks are not left bare but attractively furnished with comfortable outdoor furniture including intimate lounge areas to chat with your family and friends and sun beds on which to recline and take in some rays. 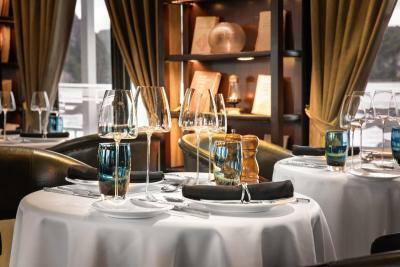 Reflecting our award-winning service, our team of highly trained butlers that are assigned to you and your cabin will personalize the experience, giving you a direct channel to the cruise manager and captain. 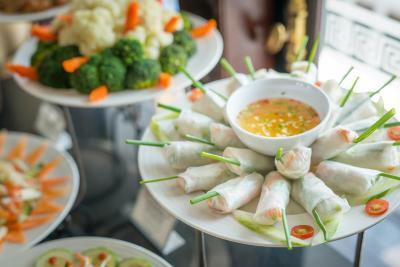 Between mealtimes and excursions, we are committed to offering the most engaging onboard activities, including cooking demonstrations and an introduction to Vietnam’s fascinating tea and cafe culture. Our cozy departure lounge and private dock and pontoon ensure that boarding your cruise ship couldn’t be easier, without any unnecessary waiting around or the awkward use of the tender boat. With your safety always a priority, our dedicated engineering team carries out daily maintenance on all our vessels to ensure that everything is running smoothly. House Rules Paradise Luxury Cruise takes special requests – add in the next step! Paradise Luxury Cruise accepts these cards and reserves the right to temporarily hold an amount prior to arrival. Credit card verification is required prior to arrival. Please present the same credit card used to guarantee your booking when checking in at the property. Failure to authorize your credit card or present your original credit card will lead to cruise boarding denial. 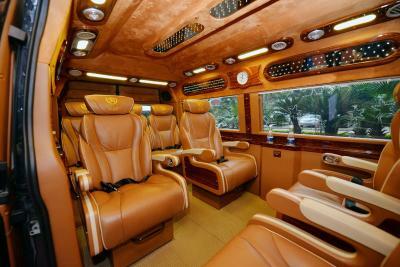 - Private transfers offer pick-up at any hotel within Hanoi. 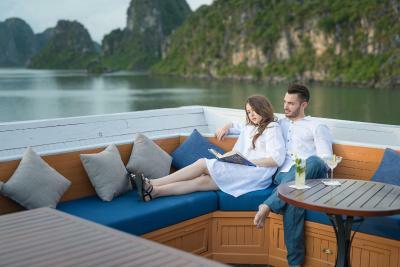 - Shuttle bus transfers offer pick-ups at the hotels within Hanoi's Old Quarter only. - Shuttle bus transfers for guests staying in hotels not within the Old Quarter offer pick-ups at 49 Hai Ba Trung St, Hoan Kiem, Ha Noi (V-Presso Coffee). Please note that the coffee shop open at 07:00. Guests are advised to arrive at the shop no later than 07:30. 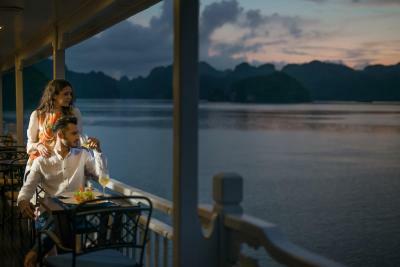 Paradise Suites Hotel, Tuan Chau Island, Halong City, Quang Ninh Province. Please note that embarkation is at 12:15. 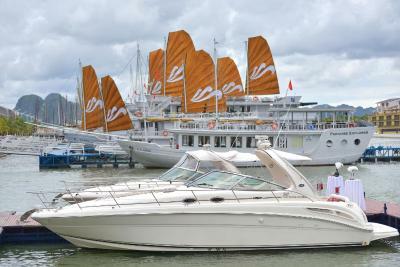 Second and last check-in/boarding time at 12:30 will be done via tender boat (extra charge applies). Guests are strongly advised to arrive at harbor before 12:15 to avoid late check-in charges. Free parking is available at the cruise's office in Tuan Chau located at: Tuan Chau Ward, Halong, Quang Ninh. Please also note that there will be an additional charge for baby cot requests (varied by age) room type and cruise itineraries. WiFi is available on board but is sometimes unstable due to weak signal points across the mountainous bay. Prices of drinks are high. 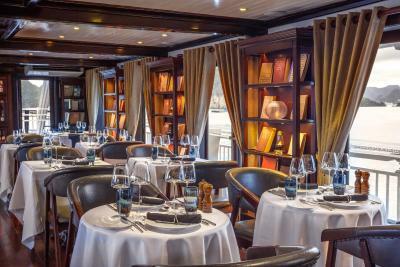 The organization, the confort in the boat, the kindness of the team, the delicious meals. Except for the above. enjoyed the entire trip. Would highly recommend it. Staff only friendly to westerners. I sat in the dinning room for 30 minutes in the morning without anyone asking me if I want any coffee. Saw an western lady came in and she was asked by the staff immediately if she would like anything to drink. The staff is very helpful, the room was very comfortable. Every experience in paradise luxury cruise was amazing. The manager and staffs are friendly and kind, meals were more than perfect. My family are totally satisfied with the spa services. 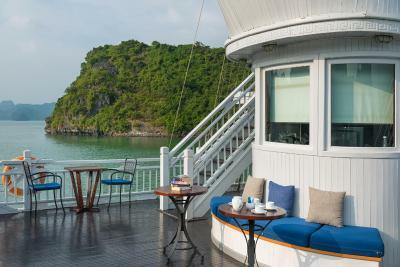 My cabin was cozy and had a balcony with beautiful Halong bay view. Activities like kayaking and visiting cave are really enjoyable. Definitely recommendable and it worth far more than cost. 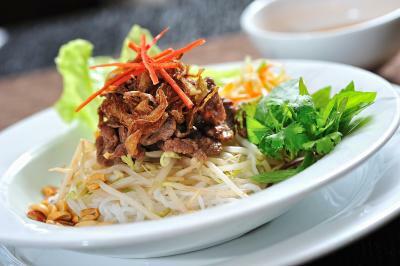 The service very efficient, staff friendly, especially our waitress Ms Mai full of attention. 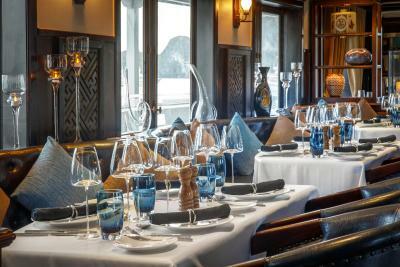 the decor of the boat was super, the wooden furniture was nice. The lunch was lavish though the dinner was not satisfactory. Overall we enjoyed our weekend. 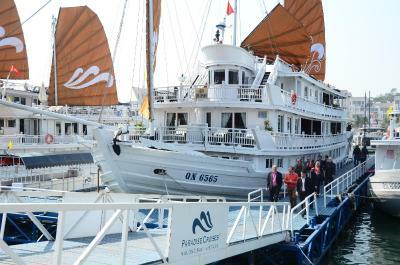 Luxury cruise is the oldest ship fleet of Paradise Cruises. they are well mantained though. Trend and elegance are their newer vessels. 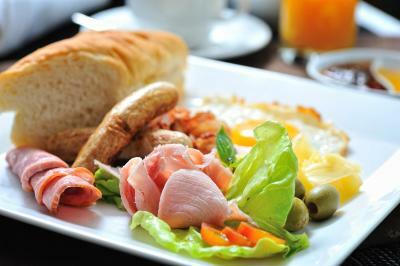 Food could be improved but it is still ok.
Foggy weather, but, not a big problem. Mosquitos..... better to take insect killers with you. The communication about the transfer, itinerary and cost of beverages was unclear. 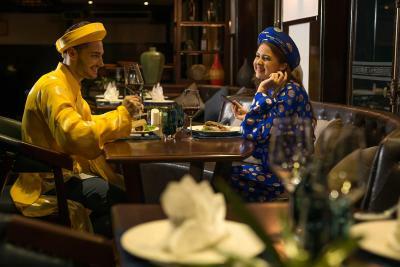 The extra costs were exorbitant and the costumes made many guests feel uncomfortable. 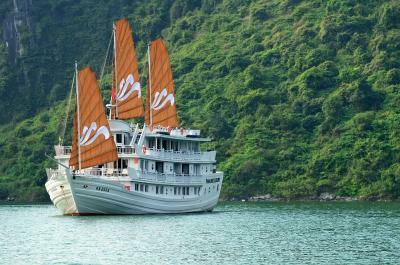 Beautiful boat, very friendly attentive staff, fun/ interesting activities amazing food!! We had a very pleasant stay, but given the crazy amount we paid I would have expected something better. The facilities are OK, to be honest the boat seems a bit old. We requested a double bed, in the end our bed was just made of two single beds placed together. Wi-Fi is not working at all, just a few mins per day. Totally Misleading. The cruise is nothing like what is in the photos of Booking.com. Paradise Luxury is just the name there is nothing luxury about this cruise line . Photos are probably from Paradise Elegance which is fairly new cruise liners of the same company. We booked a suite room for us and a normal room for family and it’s a total waste of money . Love the location. 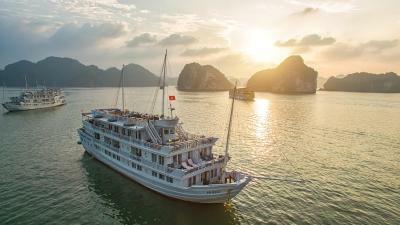 Ha Long Bay is beautiful but don’t choose this cruise . Value for money is 0. Paid over $1100 for just basic facilities. No entertainment what so ever . Just some crapy music at the restaurant. Visited a Pearl farm and Cat Ba or Tree top Island. I need my money back . This is only worth half of what we paid . Photos of our suite room is attached . Just the 3 meals on board. Nothings else was good.